Invented in New Zealand over 35 years ago, Skyline Luge has spread to six international locations and hosted more than 45 million rides worldwide. With stunning views across Queenstown, Lake Wakatipu and the Remarkables, our tracks twist and turn through banks, cuttings and tunnels for the ride of a lifetime. 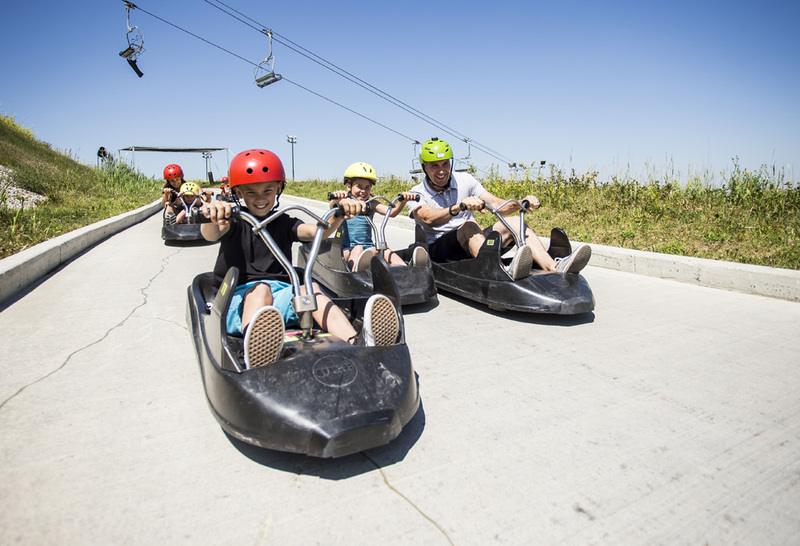 A fantastic adventure option for anyone seeking thrilling and unique Queenstown activities to enjoy during their holiday, Skyline Luge is a great activity for families or groups of friends, and an experience you will long remember! Found in the heart of New Zealand's scenic volcanic wonderland, this is where the Luging adventure all began in 1985. If you're looking for Rotorua activities for the whole family, the Rotorua Luge has three tracks of differing skill levels winding through beautiful forest. Ride the Skyline Gondola to the top complex to begin your Rotorua Luge adventure. Select from one of three exciting Luge trails and take off downhill on your Luge cart through twists and turns to a backdrop of dramatic scenery and down through our Redwood forest. Once at the bottom, ride the Luge chairlift back to the top of the track. Skyline Enterprises is to develop its second Luge in South Korea in as many years. Spending an estimated $22 million on establishing Skyline Luge Busan as part of a large-scale, US$333m theme park, hotel and shopping complex development under construction called Osiria Thema Park near Busan City. Skyline Luge Busan will consist of four tracks, each approximately 900m long, and have two chairlifts to carry approximately 2600 riders per hour – the highest capacity of all Skyline’s Luge sites throughout the world. Skyline is predicting to see 900,000 rides being completed in its first year of operation.